“Bago tayo nagsimula ng activity na ito, nagpatawag tayo ng stakeholder’s meeting [and] interagency meeting. In-invite natin ‘yong mga concerned agencies about environment and wildlife, ‘yong Department of Environment and Natural Resources at [iba pang] mga ahensya, mga resorts,” he said. 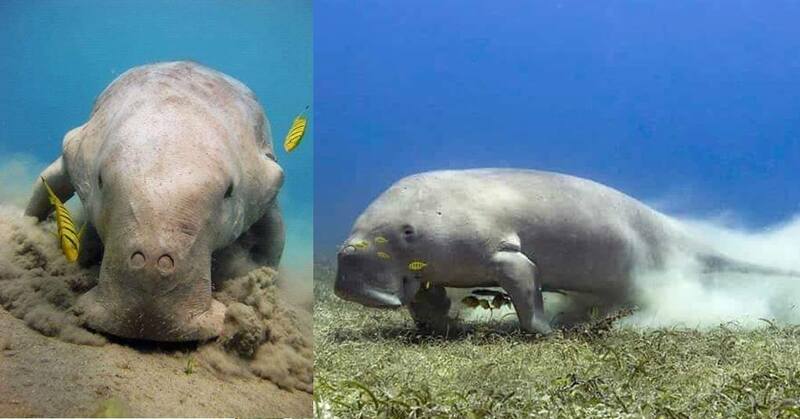 Mued said the watching tour will involve possible sightings of 37 sea cows in three sites in the sitio-islands of Demipac, Maltanubong, and Aban-Aban. The three islands, he said, are situated within the boundaries of their Certificate of Ancestral Domain Title (CADT) in Calauit Island, Busuanga. The community-based project which was organized by C3 Philippines is being managed by the Indigenous Peoples Organization (IPO) in the area in partnership with environment-concerned and non-government offices (NGOs), and the University of the Philippines (UP) System, he said. He said there are 30 trained individuals they call “Bantay Dugongs” who will ensure the efficiency, sustainability, and protection of the marine wildlife. “Ang trabaho ng Bantay Dugongs ay bantayan kung nasusundan ang mga panuntunan sa activity. Kung hindi man nasusundan, sila rin ang nag-go-go signal na i-abort ‘yong tour,” he pointed out. Every dive will last for 15 minutes and guests will only be allowed five meters away from the sea cows. Mued said they will be strict in the carrying capacity of the area, and will only accommodate 40 individuals per day in the three watching sites. Mued said they already had 440 guests since the site opened on February 4. The tourists may use the resort- provided boats, while walk-in guests can hire boats from them, he said. The sites will be open everyday except Sundays, from 8 a.m. to 4 p.m.
P500 will be collected from each guest as a conservation fee, Mued also said. “Kailangan din nating bigyan ng pahinga ‘yong hayop para hindi rin siya ma-stress [at] hindi rin siya [masyadong] maistorbo sa kaniyang ginagalawan,” Mued said. The public may book in advance from 8 a.m. to 3 p.m. by calling or texting 0967-3207-277.